These are not "universal fit" generic products. They are custom-designed specifically for the Indian® Scout, so you can be sure they will not only look great, but fit and perform perfectly. Convert your Scout from a 2-up tourer to a solo cruiser in under 5 seconds, with no tools! 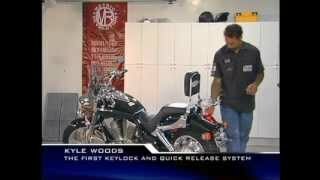 NEW for the Indian® Scout and Scout Sixty! 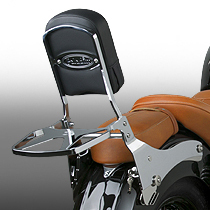 Scout riders can choose from two different options for extra carrying capacity. 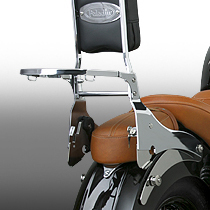 Two-up riders will appreciate the Paladin® QuickSet™ Backrest and Luggage Rack. It offers increased passenger comfort plus the ability to carry a duffel bag with a weekend's worth of gear and clothing. 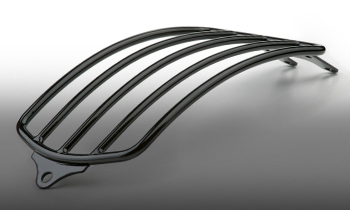 Lone riders may prefer our well-crafted Solo Rack. 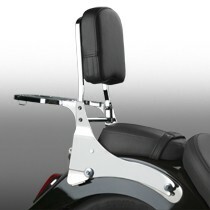 Simply remove the passenger pillion seat and mount the Solo Rack to the Scout's stock mount points. 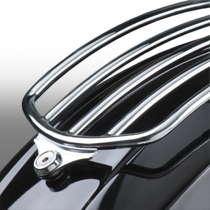 The Solo Rack is available in brilliant chrome or black powdercoat. 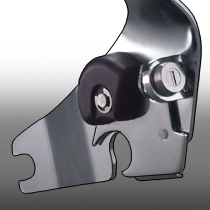 Chromed or Powdercoated Steel with Stainless Steel locking mechanism.